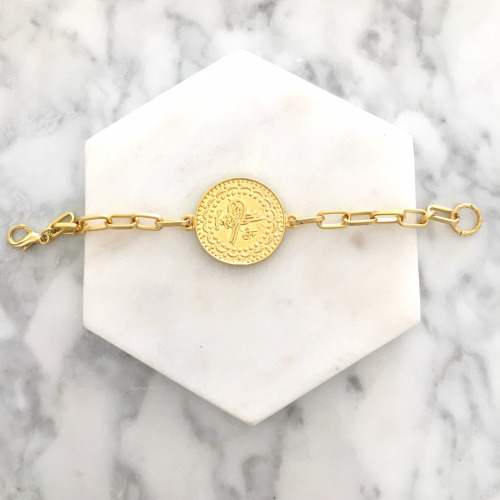 The Eser Bracelet is an edgy, statement accessory to wear year round! This bracelet features a chunky coin pendant on a belcher chain and is Australian made from exceptionally high quality materials. 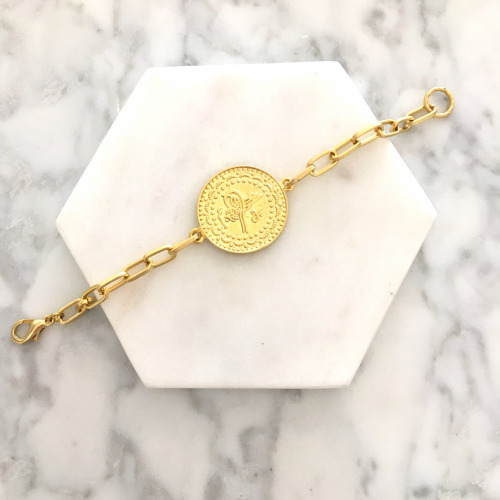 Bracelet chain measures approximately 17.5cm and coin pendant measures approximately 2.7cm in diameter.